Our furnace keeps our homes comfortable and warm during the cold winter months. As with any appliance, there are ways to ensure that your furnace continues to function safely and effectively – and many of these tips are easier to implement than you may think. The most important factor to remember to maintain your furnace’s peak performance, and to keep your home safe, is to be proactive and mindful of potential dangers and prevent issues from arising whenever possible. Like many appliances, furnaces work best when they have regular maintenance performed on them. Schedule an annual inspection for a check-up of your furnace to make sure everything is running smoothly and safely. Qualified professionals can help prevent safety hazards by performing regular tune-ups of your furnace and making sure that it is working efficiently. It may seem like a no-brainer, but regularly testing your home’s carbon monoxide detectors and smoke alarms is important! Regularly checking these devices is one of the easiest ways to keep your home safe from furnace malfunctions like carbon monoxide leaks and fire hazards, which can quickly become dangerous to you and your family. Frequent testing of smoke and carbon monoxide detectors is a quick and easy way to make sure that you are alerted in the event something in your furnace isn’t working as it should. It’s also important to regularly install fresh batteries in your devices. Ensure that the area around your furnace is kept clean and clutter-free. In general, the location of your furnace should not be a storage space for other items, but flammable materials such as gasoline and paint thinners in particular should be kept far away from your furnace. The space around your furnace should be unobstructed by furniture, storage bins, and other clutter so that professionals can easily access it if needed. Remember to frequently vacuum and dust the area to prevent debris from interfering in the functions of the furnace. Check the air filter in your furnace at least once a month. 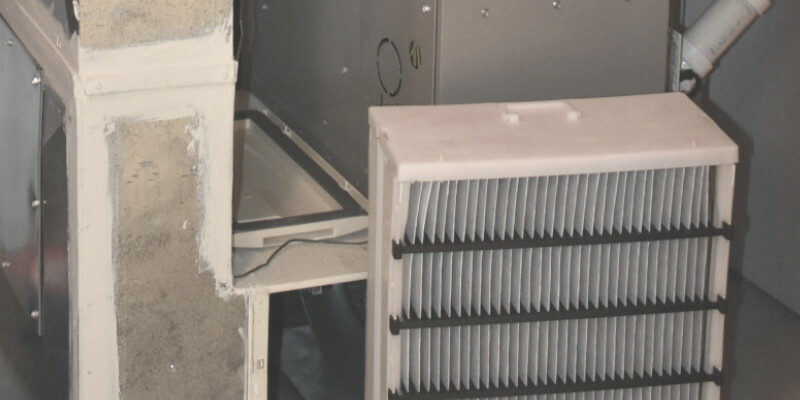 Dust and dirt buildup can reduce airflow and potentially become dangerous if not addressed. With clean air filters, your furnace will work more efficiently and more safe,ly. Being aware of potential safety issues, and taking measures to prevent problems from occurring, can ensure that your furnace functions safely and effectively for many years to come. Prevention of hazards by means of annual inspections is always a good idea, but in the event that something in your furnace malfunctions, regular checking of your home’s smoke and carbon monoxide detectors can help make sure that you are notified in time to address the problem. Be proactive, and stay safe and warm this winter! Contact us at (518) 745-0401 and ask about our Comfort Club for priority scheduling for annual scheduled maintenance visits on your heating and air conditioning equipment!